Our Mission • To improve conditions for people living with HIV and AIDS, their families and their caregivers, while actively promoting HIV and sexual health awareness in the general population. Our Vision • To contribute to a reduction in the prevalence of HIV in Ireland. Open Heart House OUR VISION IS THAT EVERY PERSON IN IRELAND WHO BECOMES HIV+ CAN HAVE ACCESS TO QUALITY SUPPORT AND SERVICE. 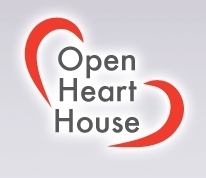 Open Heart House is innovative culturally diverse project which challenges the social stigma and associated isolation of living with HIV through peer support. The group has entered into licences with Mr Gay Europe and Mr Gay World to include the Irish representatives in these international events. The competition is open to commercial clubs and venues, community and voluntary associations, employers, student groups, local Prides, and anyone who has an interest in the aims and objectives of thie event.